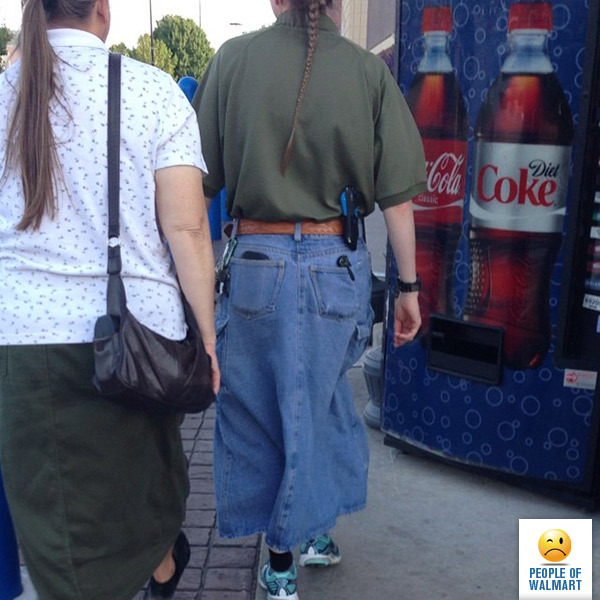 Don’t let the long jean skirt distract you from the long tail. Or maybe don’t let the long tail distract you from the long jean skirt? I’m not sure. The important thing is take it all in and enjoy. I think it’s just a lesbian. Move along. Nothing to see here. OMG! LMFAO THIS IS MY AUNT I THINK AHAHA! Someone please tell me where it was taken!? What about the folding knife sticking out of her packet? And what does she have on her belt? Probably an follower of the Apostolic denomination. Long skirts and long hair are required of women. And think jeans skirts are cool.